After the success of the Mad Cat II design, which increased the tonnage and weaponry of the Mad Cat, Clan Ghost Bear applied these same changes to the medium Ryoken. The result, the Ryoken II, first walked off the assembly line in 3075, during the Word of Blake Jihad. When the Ghost Bears later decided to sell some to the Republic of the Sphere, it caused a ruckus among some of the Clans, including a few Trials of Grievance from Clan Hell's Horses. The Ryoken II is slower than its antecedent, only capable of 87 km/h, though it has more weight available for equipment and weapons. It is built on an Endo Steel chassis and is protected by thirteen and a half tons of armor. A long-range combatant, the Ryoken II carries four Type OVR-X LB-X Autocannon/2s that make excellent anti-aircraft guns. Two Type XVI LRM-15s allow the use of indirect support as well as direct. 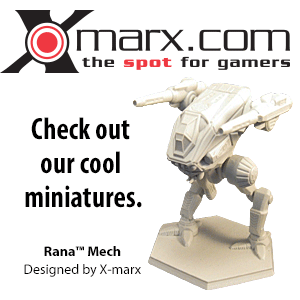 Limited ammunition forces any MechWarrior to make quick work of his or her enemies. The standard complement of double heat sinks keep the 'Mech chilly. Stormcrow (Ryoken) - The Ryoken II was created as a heavier non-Omni, version of the Stormcrow. Isabel Siwek, Old commander of a militia unit in planet Acamar. She crushed a small farmer revolt burning towns and even part of a city. Knight Janella Lakewood arrest her, leaving her big scars. She ended in prision, but in 3133, reappeared in planet Basalt as second commander of mercenary unit of Aldrington Emblyn, who tried to seize the power in the planet. 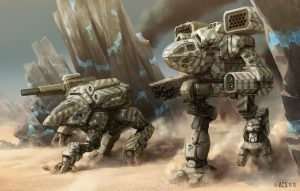 Siwek received a bribe and in the battle of Obsidian island, betrayed his superior, major Catford... who turns his Jupiter mech to her and kill her in a lethal attack.